“I’d never been a science person,” Casey Schwartz declares at the beginning of her far-reaching quest to understand how we define ourselves. Nevertheless, in her early twenties, she was drawn to the possibilities and insights emerging on the frontiers of brain research. Over the next decade she set out to meet the neuroscientists and psychoanalysts engaged with such questions as, How do we perceive the world, make decisions, or remember our childhoods? Are we using the brain? Or the mind? To what extent is it both? Schwartz discovered that neuroscience and psychoanalysis are engaged in a conflict almost as old as the disciplines themselves. Many neuroscientists, if they think about psychoanalysis at all, view it as outdated, arbitrary, and subjective, while many psychoanalysts decry neuroscience as lacking the true texture of human experience. With passion and humor, Schwartz explores the surprising efforts to find common ground. Beginning among the tweedy Freudians of North London and proceeding to laboratories, consulting rooms, and hospital bedsides around the world, Schwartz introduces a cast of pioneering characters, from Mark Solms, a South African neuropsychoanalyst with an expertise in dreams, to David Silvers, a psychoanalyst practicing in New York, to Harry, a man who has lost his use of language in the wake of a stroke but who nevertheless benefits from Silvers’s analytic technique. 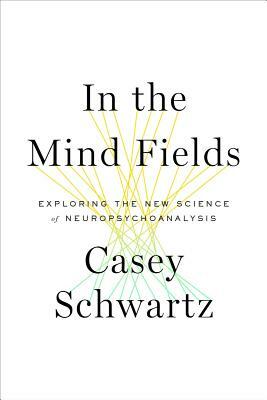 In the Mind Fields is a riveting view of the convictions, obsessions, and struggles of those who dedicate themselves to the effort to understand the mysteries of inner life. CASEY SCHWARTZ has worked as a staff writer at Newsweek/The Daily Beast, where she covered neuroscience, psychology, and psychiatry. Her writing has also appeared in The New York Times and The New York Sun. She lives in New York City.